You can now get the spin you've been craving with your very own TopspinPro! 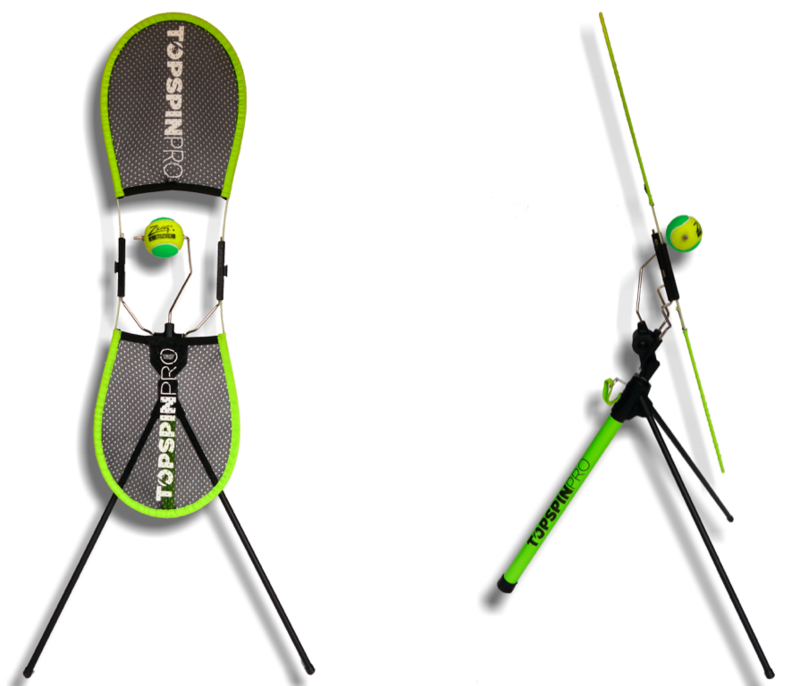 The TopspinPro is -- without a doubt -- the fastest way to add topspin to your ground strokes. 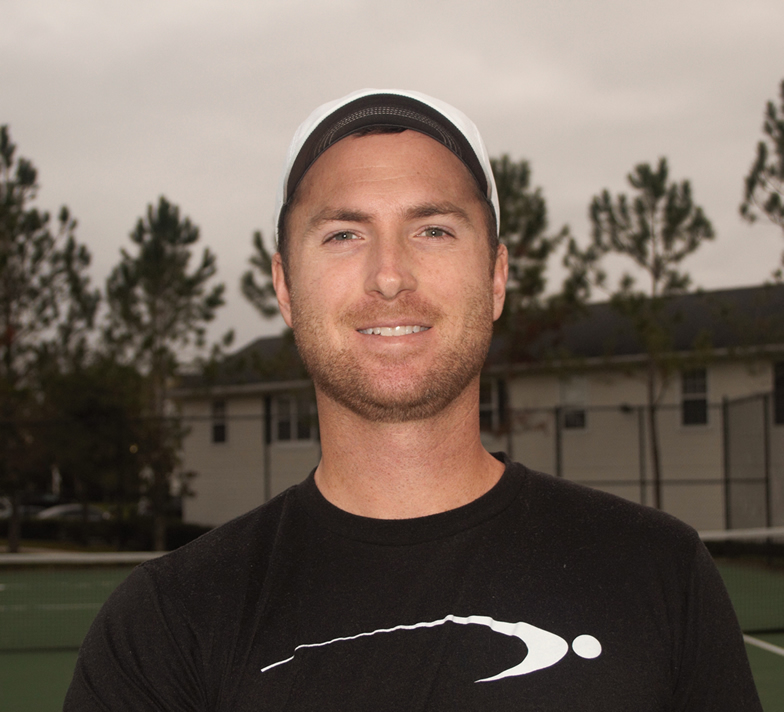 Works for players of all ages looking to get more topspin on their forehands and backhands. Use it indoors or out... perfect for the offseason! Check out my BONUSES below to find out about 2 NEW video series just for TopspinPro owners! 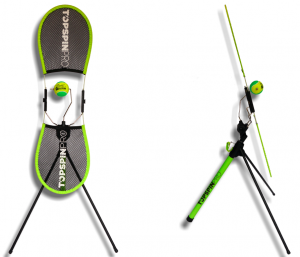 "The TopspinPro Is Hands-Down the Absolute Best Tennis Training Aid Ever Created"
You know I'm a HUGE fan of the TopspinPro and was from the very start. So, why am I just now making a big push to promote it? Because the darn things simply weren't available for months and months when the product launched. Here's my buddy, Phil, who invented the TopspinPro. He's the guy you'll be thanking when you start ripping your forehands past all your opponents! He ran into all sorts of complications with suppliers, customs, design improvements, shipping problems, and even more supplier issues. It was a hot mess, but Phil's awesome spirit and determination saw him through it all. And now he's finally got a limited supply in warehouses throughout the world, ready to ship! So, what's that mean for you? Get Yours Now Before Phil Runs Out Again! If you're ready right now to secure your TopspinPro, I won't make you wait any longer. Purchase Your TopspinPro Now... While You Still Can! When you click the big, orange button below, you'll be taken to the TopspinPro website to purchase directly from them. Just to be upfront... I'll earn a percentage on any purchases you make. That'll help us keep making more great content for you! By the way, Phil includes a 100% Money-Back Guarantee! I created 2 all-new bonus courses specifically showing you how to ramp up your topspin as fast as possible. The first course is a fully loaded intro that's 100% FREE and immediately available to you! The second course is reserved for our All Access Members, which means you can easily check it out after purchasing your TopspinPro. Simply get an All Access Membership for 1 month at $4.97. ...the ELITE course will blow your mind with all the ways the TopspinPro can be used in your training! "Rip Your Forehands with the Lag & Snap"
"Crush Your Forehands with Pro Footwork Drills"
"Get 1 Hand Backhand Topspin Your Friends Will Be Jealous Of"
"Get Crazy Topspin on Your 2 Hand Backhand"
"Rip Your Backhands with Pro-Style Footwork"
"How to Attack Shorter Shots with Speed"
"How to Hit with Power When Moving Backward"
"How to Hit Serves with Big Spin and Power!" "Get Your Slice Serves to Spin Like Crazy"
"Hit Backhand Slices with Tons of Spin"
"How to Take Low Forehands off the Bounce"
"How to Take Low Backhands off the Bounce"
Get Your TopspinPro Now... and Enjoy Instant Access to the 7-Video BONUS Intro Course to Finally Ingrain a Pro-Style Forehand! And you'll see that anyone wanting more topspin, regardless of age, can add topspin to their forehands and backhands... FAST! Get Your TopspinPro Now... and Add Lots of Spin in as Little as 1 Minute! All I can say is that if this can't help you get more topspin, it's likely no training aid will. It's the best training aid I've ever seen for tennis, and it should work well for anyone who doesn't already hit with a lot of topspin. Whether you're a complete beginner or someone who's hit flat forehands for way too long, you should give this a shot. Click here to get your TopspinPro now! Where can I access the TopspinPro videos you mentioned? They are all right here, on TopSpeedTennis.com. 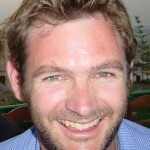 A link to the free Intro course will be on your Free Member Videos Home page. However, the ELITE course is reserved for All Access Members. Purchase your TopspinPro then come back to TopSpeedTennis.com and sign up for All Access Membership so you can watch the ELITE video course, too. Why can't I purchase this directly from TopSpeedTennis.com? We originally planned on doing that but realized we needed to stick to what we do best: tennis instruction. So, we worked out a deal with Phil to show off his awesome product in our instruction and let him handle the ordering and shipping stuff. Trust me when I tell you that Phil is a great guy, and he and his team will take excellent care of you. Just contact them for any help you need at all. So, do you make some money on this deal? Yes, I make a percentage on anything you order when you click one of the orange buttons or links on this page and go to the TopspinPro.com website. I'm happy to be very up front about that with you. I hope you've noticed that I don't promote many products. That's because I don't want you wasting time and money on stuff that doesn't work. So, when something fantastic like the TopspinPro comes up, I'm hoping you listen to me and give it a chance. And I go out of my way to help you with it by making a bunch of videos showing you how I recommend using it. Those videos also help get the word out about the product, so Phil and his team are happy to let me share in the success a little bit. If that bothers you at all, no problem. Just go over to TopspinPro.com without clicking one of my links above. I just want you to improve, whether I get anything out of it or not. How much does the TopspinPro cost? Well, I don't want to give you an incorrect price in case it changes. So, please just click one of the orange buttons above to visit the official site and see the latest prices. Same goes for any shipping costs. What I can tell you is that no matter what they're charging at the moment... it's worth wayyyy more than that! Think of how long you or someone you know has struggled with getting topspin. How much would it have been worth to avoid all that? Is the TopspinPro made of quality material? Yes, it's very well made. And Phil won't settle for anything less. He already worked through an issue with a supplier that wasn't delivering proper quality. He fixed it and made it right with everyone. Phil is a real stand-up guy and refuses to sell anything that isn't high quality. How quickly can I get mine? What are my shipping options? etc. Those questions are best for Phil and his team to answer at TopspinPro.com. They handle all that stuff. Just click one of the orange buttons above to go over to his site and contact them there. How does the 100% Money-Back Guarantee work? Click any of the orange buttons or links on this page to go to the TopspinPro.com website and then check out their FAQs page for the details. The best thing to do is click one of the orange buttons above to go to TopspinPro.com. There will be a way to contact Phil and his team from their website. They should have all the answers you need. You've probably noticed that I don't promote many products. That means this one must be pretty special, right? Well, it is. And that's why I don't want you to miss out. So, if you're at all interested, just click the link below and check it out before it's too late. Yes, I want to use the TopspinPro -- risk free -- to start ripping forehand and backhand winners!